Frenchies are playful, alert, affectionate and intelligent with a comical personality and a sweet nature. In other words, they are awesome! The French Bulldog, or Frenchie, is small, compact and muscular. These popular dogs have a square-shaped head with a broad muzzle and a black nose. They have a distinct underbite. Frenchies also have batlike ears. The body is wider at the front than the back, making it appear almost pear-shaped. The skin is loose and forms wrinkles, particularly around the head and shoulders. Frenchies’ short tails are either straight or corkscrew and taper to a fine point. Despite the name, this breed originated in Nottingham, England, in the 19th century. French Bulldogs were bred as an alternative to the heavier and larger English Bulldog, and Frenchies were particularly popular with the lace-makers of that period. When the Industrial Revolution hit, many artisans found themselves out of work and subsequently moved to France, taking their new, smaller breed of bulldog with them. The breed’s popularity spread rapidly. The French developed things a bit further, notably in the shape of the ears. 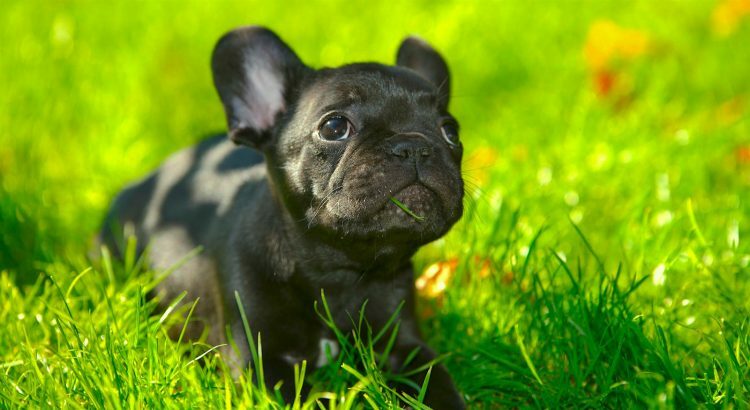 The newer Frenchies had the batlike ears that we see today, while the original breed had ears that were rose-shaped. Gradually, as Americans visited France, they became enamored with the breed and so the Frenchie made its way to the United States. In 1897, the Frenchie was exhibited at the Westminster Kennel Club Dog Show, although it was not yet an American Kennel Club–approved breed, which happened a year later. Frenchies continued to be wildly popular among the Americans until after World War I, when their numbers and popularity started to decline. By 1940, the French Bulldog was considered to be a rare breed, and only 100 were registered with the AKC. Decades later, in the 1980s, the Frenchie staged a comeback. 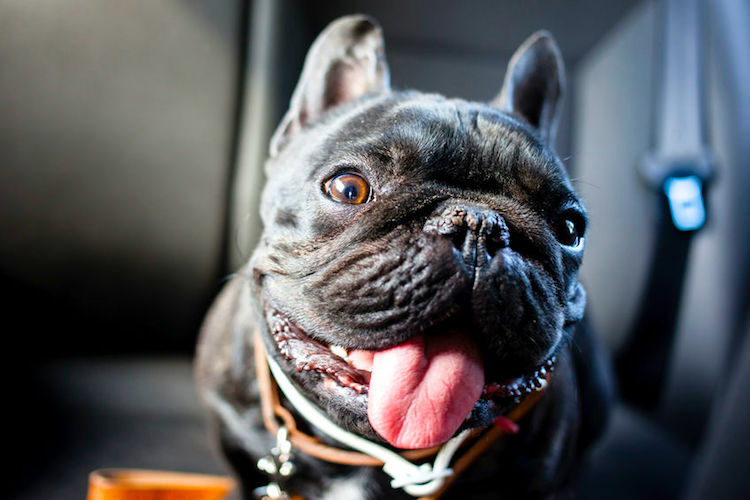 Frenchies are said to be playful, alert, affectionate and intelligent with a comical personality and a sweet nature. They are curious and can get themselves into trouble if not watched. In general, they do well with strangers and other pets and love nothing more than to be with their humans. French Bulldogs do need a firm hand — they can develop small dog syndrome. Frenchies also require companionship. You shouldn’t get one and then ignore them or leave them alone for many hours. LOW: Frenchies do well in an apartment or a house with a yard. Engage yours in play and take them for walks regularly to avoid obesity and to keep them from becoming destructively bored. Note that Frenchies do not do well in temperature extremes — either hot or cold — because of their fine coats. Avoid taking your Frenchie for long walks on hot days, and be sure to bundle them up on cold ones. LOW: The French Bulldog doesn’t require more than weekly brushings to maintain her coat. Bathe as needed, which means once a month or less. Also, perform regular maintenance on teeth and nails. Enlist the aid of a good veterinarian who can help you monitor your French Bulldog for any potential health problems. Be alert for any signs of overheating, and avoid vigorous exercise on hot days. Many Frenchies out there need good homes! So check Petful’s pet adoption search now to see if the perfect one is waiting for you. If you decide to go through a breeder, please do your homework and don’t be an accidental supporter of puppy mills.